I got the Droid Turbo and Moto 360 around the time that the Apple watch was being announced and released, so I was looking forward to trying out the latest trend. The idea of having something strapped to your wrist that did less than what your phone could do was weird to me. Now that I’ve tried out a smart watch, it still is. The exterior design of Android phones never fails to impress me, and the Turbo was no different! It had a red carbon fiber back that looked great. You know my feelings on the Android OS, so that’s really all I have to say about the phone. Then comes the Moto 360. I think this is by far the best looking smart watch. The circular face helps it blend in with a normal watch but still has plenty of screen space to show notifications. The leather band that mine came with was comfortable, although a little stiff. Using the 360 was very simple, but reading the emails that came in was something else entirely. The notifications for the email was clear and easy to read, but formatting causes the emails to show up in an almost alien language. I got the gist of my emails, but found myself taking out my phone to read them. This brings me to the most important fact about the smart watch…what’s the point?? My phone was always a few inches away in my pocket, the incoming messages were hard to read and the watch didn’t always sense when I turned it up to look at it. Personally, the only time I actually used it was when I was showing people how it worked. I rarely even used it as a normal watch, because I’m so used to pulling my phone out of my pocket to check the time. 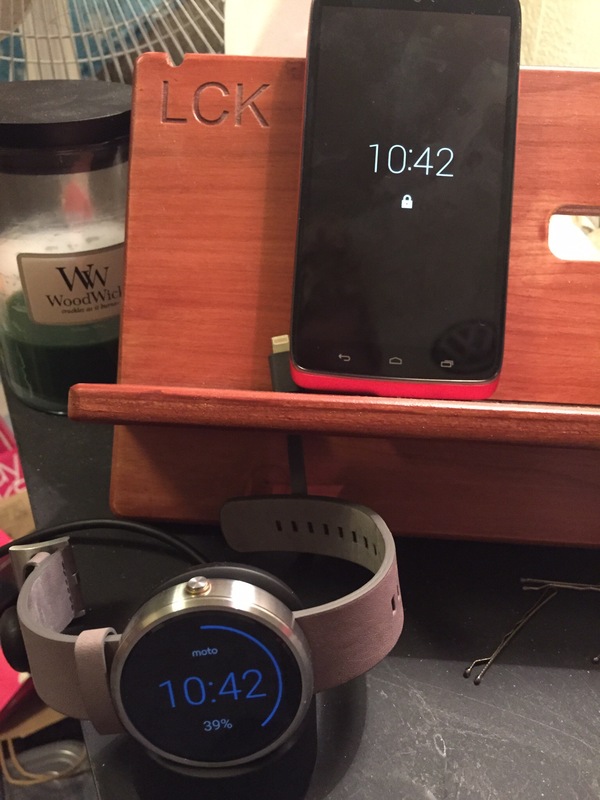 For me, the smart watch is more of a novelty than a device that’s actually useful. I’m sure I’ll come around eventually, but for now I’ll stick with my trusty Timex.